This is offers the same courses as the Diploma in Orthodox Theological Studies, the core course of study for the Academy, but at a slower or more individual pace. Students in this program may enroll for any class that is offered that semester, even two! And all courses taken as a part of the Non-Diploma Program of study are transferable to the Diploma program. Ready to pour yourself into theological studies? 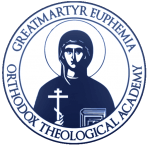 The Diploma of Orthodox Theological Studies program is what you’re looking for.